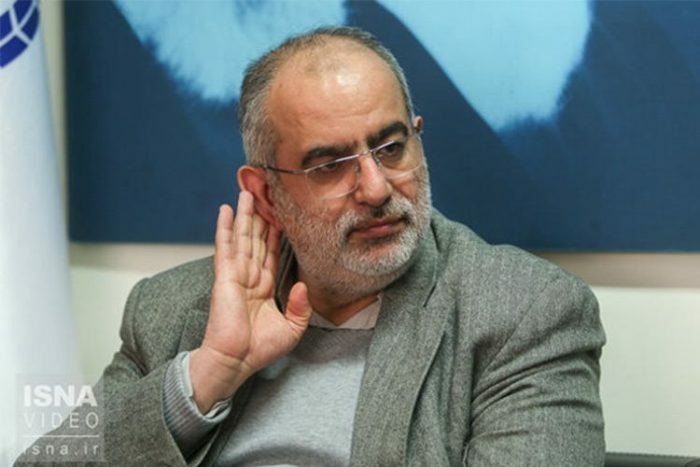 Speaking to the state-run ISNA news agency, Hesamodin Ashna, an advisor to Iranian regime President Hassan Rouhani, conceded that the domestic protests that have racked Iran for the last 12 months were unlikely to stop. The regime insider told viewers that the cause of the protests had not been resolved. The issues in the Iranian economy were still present. Therefore, it was unlikely the protests would abate. He said that the economic conditions that had prompted widespread protesting across Iran in the 1990s existed in Iran today. Only this time around, he conceded, the protests had “much more depth” than protests of the past. In the 1990s, the Iranian cities of Mashhad, Qazvin, and Islamshahr were affected by large-scale protests. In response, the regime imprisoned, tortured, and executed a large number of protestors. 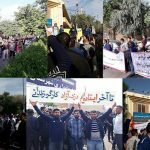 Several regime officials have expressed concerns that the conditions that led to these widespread protests were present in the Iranian political and economic landscape of today. 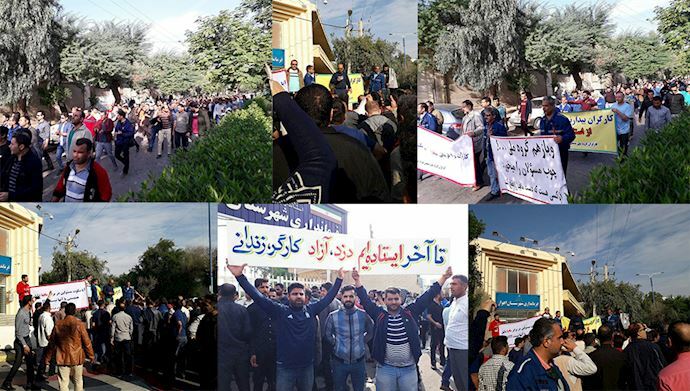 Iranian regime’s Interior Minister Alireza Rahmani Fazli, said last March that the conditions within Iran were such that just “a spark would flare” the protests. For the mullahs, the Iranian government is the political institution headed by Hassan Rouhani and his cabinet. However, the state is considered to be the political system itself, characterized by the Islamic Jurist (or Vilayat-e-Faqih). The head of the state is the Supreme Leader Ali Khamenei, the authoritarian who makes the bulk of the decisions in Iranian society. While the Iranian regime has not been able to prevent the protests, criticism of the state and the Supreme Leader is a red line. In this context, the 2018 protests that saw protestors chant, “Death to Khamenei!” will have been a particular source of discomfort for the mullahs and the clerical regime. Another cause for concern was the breadth of the protest movement. The People’s Mujahedin Organisation of Iran (MEK), the largest and most influential opposition group, was able to mobilize a significant portion of the Iranian population, including from demographics traditionally seen as the regime’s support base. The widespread disapproval of the government and the state has led many in Iran to adopt the position that the only way to cure Iran and resolve the public’s political grievances is through regime change. Instead, the regime has adopted a more violent approach to curbing the spread of discontent. In the December 2017 protests, which engulfed all of Iran’s 31 provinces and spread to 142 towns and cities across the country, the regime’s security forces slaughtered 25 protestors. Ten further protestors died in regime custody after the protests in suspicious circumstances. At least, 8,000 protestors were imprisoned during the period of nationwide unrest, based on the reports from MEK sources inside Iran. As Ashna states, the circumstances that led to the nationwide uprising are still present. Therefore, there is nothing stopping protests of a similar scale to emerge in 2019. In fact, given the continued deterioration of the Iranian economy, the rising inflation, and the plummeting purchasing power of the Iranian rial, 2019 is likely to be a year of even more protests and instability. The mullahs’ days are numbered. They know it. The MEK knows it. And the Iranian public knows it.